It was 27 years ago this month that TMG The Mortgage Group was born. With a network of approximately 800 mortgage brokers and agents nationwide, TMG has assisted hundreds of thousands million Canadians find the mortgage to best suit their financial needs. TMG operates on the premise that a mortgage broker provides the best value for consumers and has the knowledge and expertise to assist anyone seeking mortgage financing advice. We thought it might be a good time to share our story. And so, it begins: In the early years, the company operated as Kirk capital Corp. and opened its first franchise in British Columbia under London, Ontario-based “The Equity Centre,” led by industry pioneers Grant and Debbie Thomas. Four years later, CIBC purchased the master franchisor and changed the name to The Mortgage Centre. In 1997, Kirk Capital Corp. parted ways with that franchise network and changed its name to The Mortgage Group, becoming an independent privately-owned mortgage brokerage firm. Both Grant and Debbie are committed to the mortgage industry and are dedicated to the ideals of ongoing training and education as well as increasing professionalism among its brokers, agents and regional mangers as well as in the industry as a whole. Many TMG alumni have gone on to become the industry’s stars and thought leaders. Debbie’s background in teaching and Grant’s experience in the hospitality industry have served them and TMG well. They are invested in the industry and have developed policies and procedures that assist each agent to be successful and grow their business. 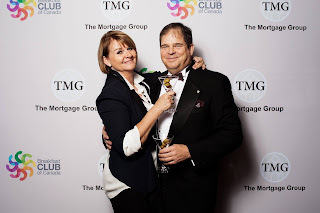 Grant and Debbie are proud to be one of the longest operating mortgage brokerages in Canada and they have been the principals since day one. This shows a strong commitment to the industry. The role of a brokerage is to lead, innovate and provide oversight. We strongly believe that TMG has succeeded in doing just that. They have been able to maintain and even strengthen the TMG family in the wake of impressive growth. TMG is not a big, faceless company. It is a small company that continues to grow. For Debbie Thomas, Partner of TMG, education was the key to helping brokers and agents develop and grow their business. “When we started, mortgage brokers had a bad rep and were considered a last resort. I wanted to educate the public of the benefits of using a broker,” she said. 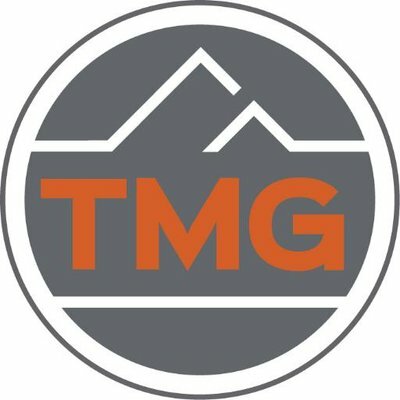 Today, TMG continues to develop unique training programs, customized payroll systems, and personalized marketing materials. TMG also built its own recording studio and remodeled its training facility with full HD, Green Screen, broadcasting capabilities. TMG, an award-winning brokerage, has attracted mortgage leaders from across the industry and across the country. Its regional sales leaders are experienced and well-respected individuals who work directly with brokers in their regions.